When you are buying, renting, altering or extending any property, whether residential or commercial, you need the support and advice of professional building surveyors. Our team of skilled and experienced building surveyors offer friendly, tailored services to guide you through the legal obligations and practical considerations involved in any building-related transaction or project. Homeowners can choose from three different residential surveys according to the type of property they are buying, while businesses and organisations can choose from our comprehensive range of commercial surveys to meet their specific needs. Buying a new home can be a daunting prospect – but the experienced surveyors at LHL are here to make the process as simple and trouble-free as possible. Under our Lightly & Lightly brand, we have been helping people to buy new properties for more than 25 years. Our chartered building surveyors provide independent advice, a comprehensive range of surveys, valuations and other related services to support your residential property purchase. With offices in Doncaster, Harrogate, Hull, Newcastle and York, we are well placed to serve home buyers across Yorkshire, the North East and beyond. 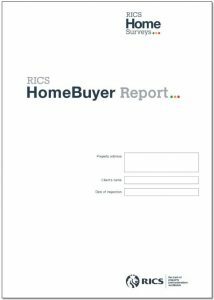 LHL offers the RICS HomeBuyer Report – often referred to as a Level 2 survey. Through this report we detail the condition of the property, offer guidance to your legal advisers highlighting any urgent defects, and provide a market valuation and insurance rebuild costs. Our report includes advice on defects that may affect the value of the property, along with repairs and ongoing maintenance advice. 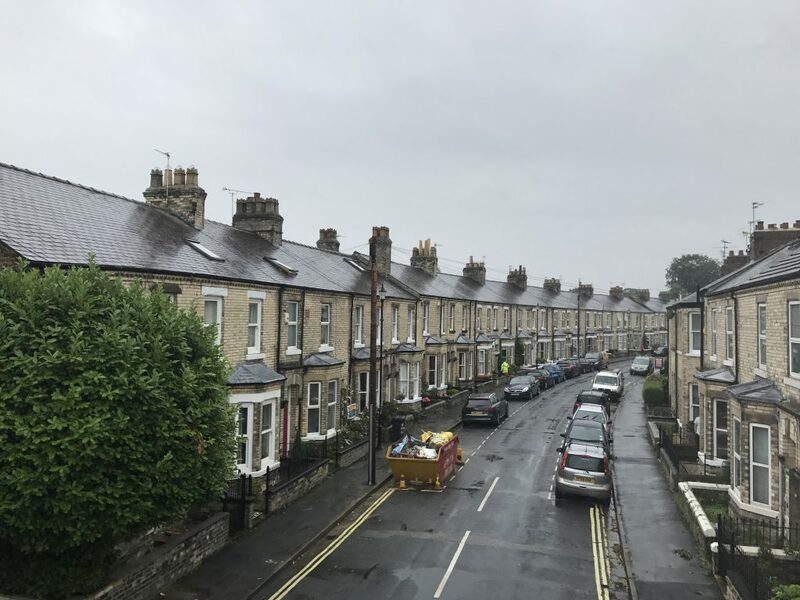 It differs from our superstructure and building surveys as it is generally for houses, bungalows and flats that are of a traditional type and construction and apparently in reasonable condition. This survey was specially designed by Lightly & Lightly. It provides a surveyor’s report for properties where a full building survey is considered to be inappropriate or unnecessary. The scope of the report is strictly limited to the main structural elements of the building. The Superstructure Survey does not generally give an opinion on market value or the cost of reinstatement for buildings insurance. An examination of the fabric of the building, subject to access. Information on services, finishes and fittings, as well as the structure. An opinion on market value and an assessment of the cost of reinstatement for buildings insurance. Guidance notes for rectification of defects identified and future maintenance recommendations. A comprehensive range of surveys, valuations and related services to support your residential or commercial property purchase. 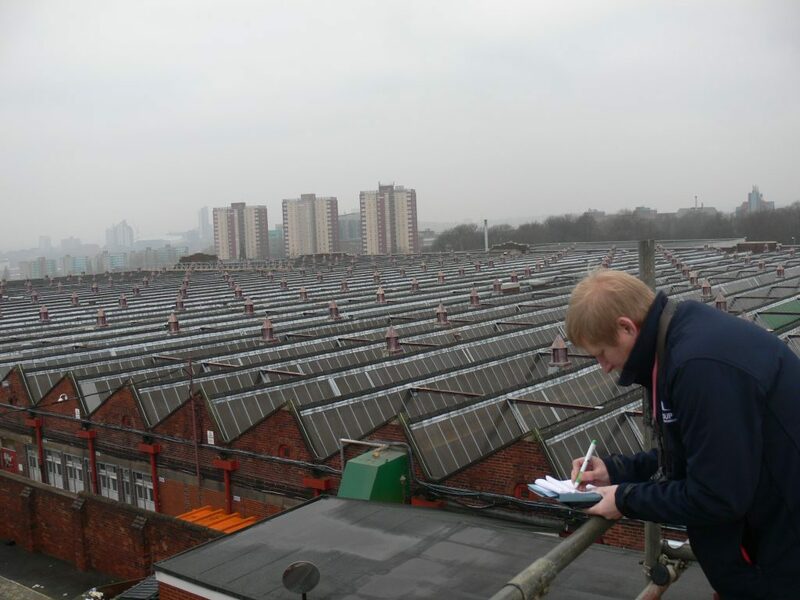 LHL offers a wide range of building surveys to the commercial sector. Before you enter into any legal obligation in relation to a commercial property, it’s essential that the premises undergoes a thorough and detailed inspection. Leasehold properties can be subject to onerous repair and other liabilities and may not be suitable for your intended use or for future adaptation. When you take up a new lease, it’s also important to ensure that the previous tenant (and landlord) have complied fully with their obligations, so that liabilities are not passed on to you. LHL provides all the necessary independent advice you need, demystifies the legal jargon, conducts negotiations on your behalf – whether you’re the landlord or the tenant – and advises you on any future adaptations, repairs or maintenance. LHL’s chartered building surveyors have wide-ranging experience of preparing schedules of dilapidations for commercial landlords, whether as a terminal schedule at the end of a tenancy, or an interim schedule during the lease period. Our building surveyors also act for tenants and occupiers of premises in dealing with schedules of dilapidation which have been served upon them, to ensure that these are dealt with in a fair and reasonable manner. Our dilapidations services include pre-occupation assessments on behalf of tenants looking to move into a property. We can advise you on any potential problems with the building and any likely future liabilities. We will provide a schedule of condition for the property, to help inform your decision about whether or not to move in. If you own a property and wish to carry out any building works or alterations close to the boundary of your property, you are obliged by The Party Wall Act 1996 to inform the owners of the adjoining properties. LHL can advise you on how to plan your works to minimise your obligations, or to properly complete all necessary notifications and negotiations with adjoining owners. For large commercial properties there are likely to be multiple neighbours affected by any works close to your boundary. They may wish to appoint building surveyors to assess the likely impact of your woks, which can make for a complex and time-consuming process. What’s more, as instigator of the works, you must bear the cost of all surveys required by your neighbours. To simplify the process, LHL can carry out all building surveys for all affected neighbours, if they agree, which can help to streamline the project and keep costs under control. We will act as the single independent surveyor for the whole project. At every stage we will advise you on the best approach to minimise cost and inconvenience. The adjoining owners also have the right to appoint a surveyor to complete a schedule of condition on their property prior to the work and again after the completion of the works. This is used to record any damage that may have occurred as a result of the works. The schedule will also protect you against bogus claims from your neighbours. The legal requirements and issues associated with working on party wall projects can be challenging and complex. LHL has long experience of providing the professional, approachable advice and guidance you need to simplify the process and support you throughout the negotiations. LHL building surveyors offer a range of services for both commercial landlords and tenants, whether in office buildings, retail outlets or industrial units. For landlords, we can assess the condition of your property to determine whether the tenant has fulfilled their obligations under the lease. We can draw up a schedule of dilapidations, setting out any work that is required to restore the condition of the property. This service can be provided mid-term, or at the end of a lease. For any repairs that are required, we can negotiate with your tenant to agree the best way forward, whether that involves organising the works to be paid for by the tenant or agreeing a cash settlement to cover the cost. Similarly, we can work on behalf of commercial tenants to assess any repair work you need to carry out to fulfil your tenancy agreement obligations. This includes helping you to meet break clause requirements if you wish to end your tenancy early. Our specialists can provide break options to ensure you meet all your legal requirements in these situations. Our practical advice and expertise helps both landlords and tenants to meet all legal obligations, helping to protect landlords’ properties against damage and tenants against unreasonable demands. Where repair works need to be completed, either by the landlord or the tenant, we can project manage the works to ensure they are completed to the required standards. When you went to upgrade or refurbish any commercial property, LHL has the expertise to support you at every stage. We can facilitate refurbishments from the early feasibility stages through to the formal handover of the completed works. Our building survey and design specialists help a wide range of property owners, from private individuals and estate owners through to local authorities responsible for managing large and diverse property portfolios. Our refurbishment services include assessing the existing condition of a property. We have the skills to advise you on appropriate adaptations and upgrades to meet your changing demands – and to meet the requirements of relevant legislation. Our in-house quantity surveyors provide initial budget costs for the works and support you with ongoing cost control throughout the project. Adapting or extending your premises to best suit your business as it grows and changes is an essential part of business planning. To help you get it right first time, the specialists at LHL have the knowledge, skills and experience to guide you through your property alterations. Our architectural designers, building surveyors and quantity surveyors can assist you from the initial feasibility stage through to the construction of the extension or adaptation, as well as managing all parties involved at every stage. We are happy to liaise directly with you or your nominated representatives, or to provide input at board-level discussions about your building plans. LHL provides commercial property maintenance services for organisations of all sizes, from single-site businesses to large organisations with significant commercial property portfolios. 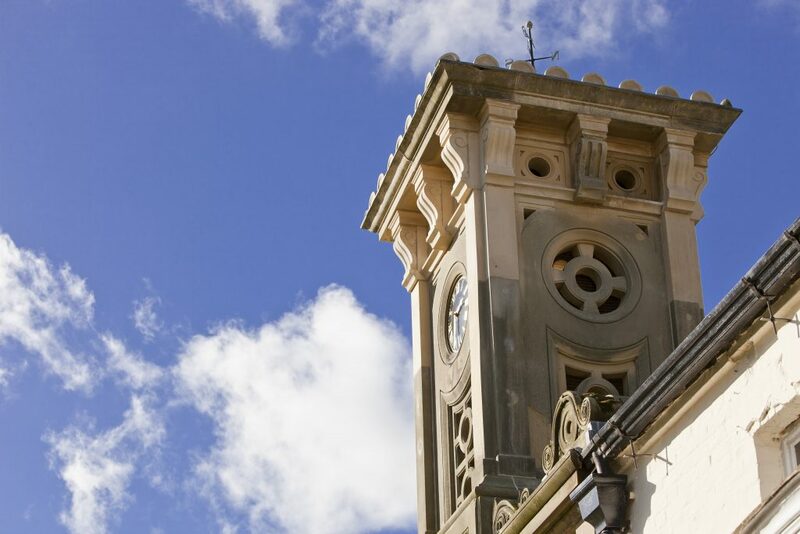 Our experienced building surveyors can conduct detailed condition surveys on your properties, which can feed into your own software systems and support ongoing maintenance planning. We assist with strategic maintenance planning and with specific maintenance project implementation. Maintenance projects can incorporate anything from re-fenestration or re-roofing, through to renewing drainage systems and co-ordinating large-scale redecoration projects. We will work closely with you to plan and implement suitable pro-active maintenance programmes, whether you own a single property or a portfolio of premises.